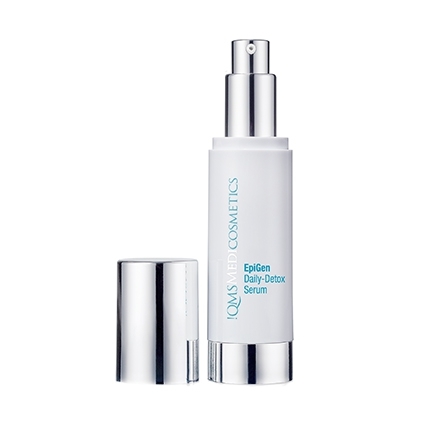 An advanced formula developed to defend the skin from the damaging effects of pollution. EpiGen Daily-Detox Serum is a pioneering skincare treatment that has been specifically formulated to address skin damage caused by pollutants within the atmosphere. Its formulation has been inspired by the science of Epigenetics, this advanced understanding enables a greater effectiveness and accuracy in repairing the skin. EpiGen Daily-Detox Serum combines the ability to help accelerate regeneration of the epidermis, activate the cellular cleaning process to detox the skin from pollutants, assist in DNA repair and provide a longer-lasting protection.